Classes are on Mondays and Wednesdays from 7pm to 8pm. 1 hour of exercise, burning calories in a private, safe enviornment. Call today to have your teen reserve thier spot. As children grow older, they usually end up reducing outdoor play activities. Some teens maintain their physical activity levels by participating in organized sports, but others are left on their own and exercise less and less as they get older. 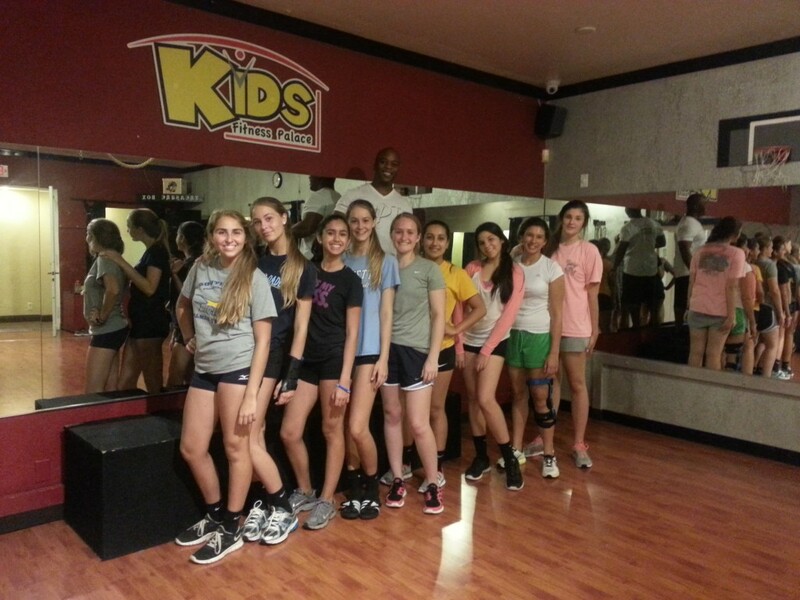 To counter this trend and provide more opportunities for teens to get active, Kids Fitness Palace has several programs specifically designed for teens. If you have a sedentary video game player…this may be the perfect program for you! We have intermediate to advanced programs for kids. The key is finding the correct program for your child. Our classes are designed for beginners to intermediate kids. The classes are a good starting point for those who need to have some activity, looking for weight loss, or simply need help with confidence. However, if your teen requires extra attention, individualized nutritional help or specific strength and conditioning requirements – or Personal Training program may be a better option. Our Personal Training program is our flagship program, which is specifically tailored to your child and comes with all the bells and whistles. Those one on one sessions are done by appointment and must be scheduled in advance. Call us today if you need more information or help in selecting the correct program.